While the much anticipated Wazir has drawn attention for the music and the all-star cast a�� now Aditi Rao Hydari who plays Farhan Akhtara��s love interest, Ruhana Ali, grabs the spotlight with her wardrobe in the film. Created by designers Monica Shah and Karishma Swali of the fashion label Jade, find straight kurtas paired with shararas, anarkali tops with palazzo pants, and the piece de rA�sistance a�� her wedding outfit, which the designers worked on for six to eight months. a�?It is a kurta bordered with silk, and a double-layered tule sharara embellished with zardozi. The outfit is paired with a fine silk net dupatta,a�? says Shah. Talking about the collection, that comprises about 30-40 garments, Monica says, a�?Since Hydaria��s character is Muslim, we have lent an Islamic, old-world charm to the collection. At the same time, we tried to keep most of her outfits casual, so that they are ready-to-wear for todaya��s women. The clothes look rich, but arena��t heavy, and are quite comfortable to wear.a�? Some of the fabrics used to design this collection are mul mul, Chanderi, and woven Benarasi. a�?Wea��ve also used shibori prints, tie and dye, zardozi, kasab, and resham embroidery on the fabrics. And therea��s been a lot of focus on the cuts. You will find straight cut kurtas with layered shararas in warm colour combinations such as pista green and pink,a�? 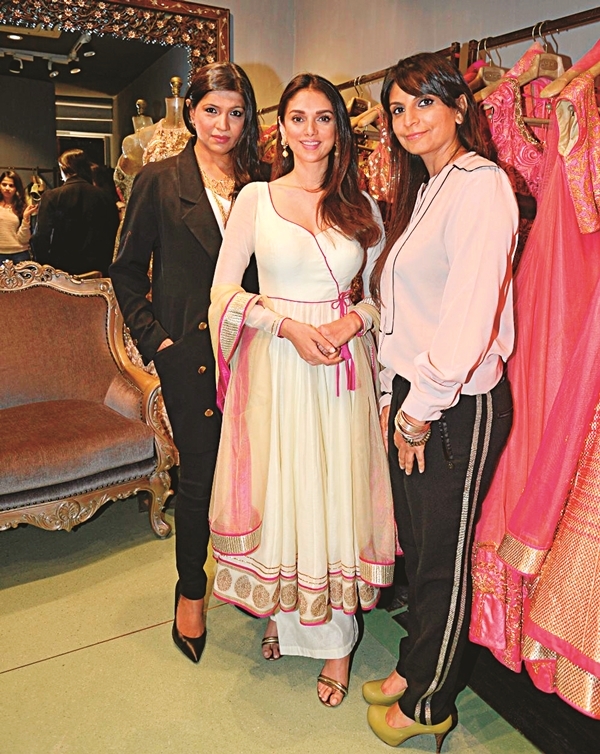 says Shah, adding that we might see more of anarkali tops paired with palazzo pants this year. You can now shop for the look at Jadea��s store, or via Facebook. Rs 25,000-45,000. At Peddar Road, Mumbai.